A bright modern one bedroom apartment overlooking a green with secure parking. Close to town but easy access out of town for those tenants that need to commute. Priced to sell at £157,500 as swift sale required. This attractive apartment should let readily around £675 PCM giving a gross yield of 5.14% higher than average for Aylesbury but still offering sensible capital growth potential. 4,701 Aylesbury Landlords – Is This a Legal Tax Loop-Hole? 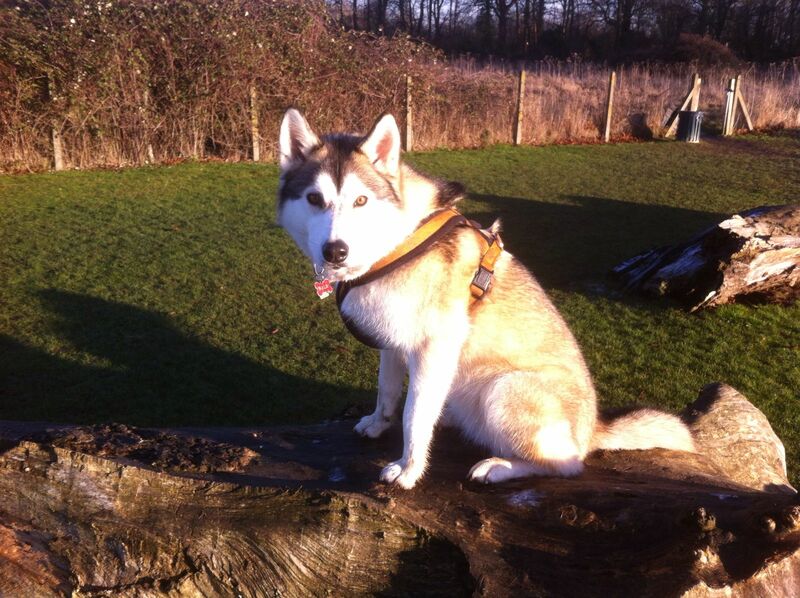 · Annual rental income £10,800. So, by selling their buy to let investments to their own limited company, owned 100% by them, these landlords could then offset the costs of running their BTL’s as an 'allowable expense' - effectively writing off the cost of 100% of their mortgage outgoings, wear and tear and upkeep, letting agent’s fees etc. 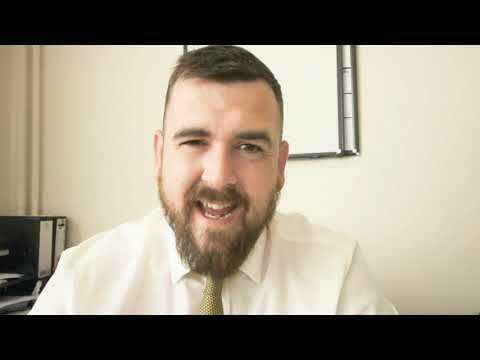 I am undeniably seeing more Aylesbury landlords approach me for my thoughts on setting up a BTL limited company, so should you make the change to a limited company? In fact, I have done some extensive research with companies house in the 15 months (1st January 2016 to 31st March 2017 and 129 Buy To Let Limited Companies have been set up in the HP postcode alone). It’s vital that landlords get the very best guidance and information from tax consultants with the right qualifications, experience and insurance. Whatever you do, always get the opinions from these tax consultants in writing and you shouldn't hurry into making any hasty decisions. The modifications to BTL tax relief are being progressively eased in over the next three years so there is no need to be unnerved and rush into any decisions before finding out the specifics as they relate precisely to your personal situation, because with decent tax planning (from a tax consultant) and good rental / BTL portfolio management (which I can help you with) ... whatever you do - let’s keep you the right side of the line! Should you buy or rent a house? Buying your own home can be expensive but could save you money over the years. Renting a property through a letting agent or private landlord offers less autonomy to live by your own rules, with more flexibility if you need to move. Yet, there is third way that many people seem to forget, but it plays an important role in the housing of Aylesbury people. 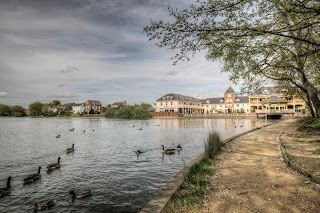 Collectively known as social housing, it is affordable housing, which is let by either Aylesbury Vale District Council or a housing association to those considered to be in specific need, at rents below those characteristic in the private rental market. In Aylesbury, there are 4,562 social housing households, which represent 15.7% of all the households in Aylesbury. There are a further 3,078 families in the Aylesbury Vale District Council area on their waiting list, which is similar to the figures in the late 1990’s. The numbers peaked in 2014, when it stood at 5,204 families, so today’s numbers represent a drop of 40.8%. Nevertheless, this doesn't necessarily mean that more families are being supplied with their own council house or housing association property. Six years ago, Westminster gave local authorities the authority to limit entitlement for social housing, quite conspicuously dismissing those that did not have an association or link to the locality. Interestingly, the rents in the social rented segment have also been growing at a faster rate than they have for private tenants. In the Aylesbury Vale District Council area, the average rent in 1998 for a council house/housing association property was £205.01 a month. Whilst we have no up to date figures, because of the 'Large Scale Voluntary Transfer' of all or most of the local authority's stock transfer to a Private Registered Provider sector, so the average rent is no longer applicable. Therefore, using the average rent increase for England of 108% (England’s average rent being £183.08 a month in 1998 and £381.03 a month today) we can guesstimate an average of approximately £400. When comparing social housing rents against private rents, the stats don’t go back to the late 1990’s for private renting, so to ensure we compare like for like, we can only go back to 2005. Over the last 12 years, private rents have increased nationally by a net figure of 19.7%, whilst rents for social housing have increased by 59.1%. So, what does this all mean for the homeowners, landlords and tenants of Aylesbury? Rents in the private rental sector in Aylesbury will increase sharply during the next five years. Even though the council house waiting list has decreased, the number of new council and housing association properties being built is at a 70 year low. The government crusade against buy-to-let landlords together with the increased taxation and the banning of tenant fees to agents will restrict the supply of private rental property, which in turn using simple supply and demand economics, will mean private rents will rise – making buy to let investment a good choice of investment again (irrespective of the increased fees and taxation laid at the door of landlords). It will also mean property values will remain strong and stable as the number of people moving to a new house (and selling their old property) will continue to remain restricted and hence, due to lack of choice and supply, buyers will have to pay good money for any property they wish to buy. 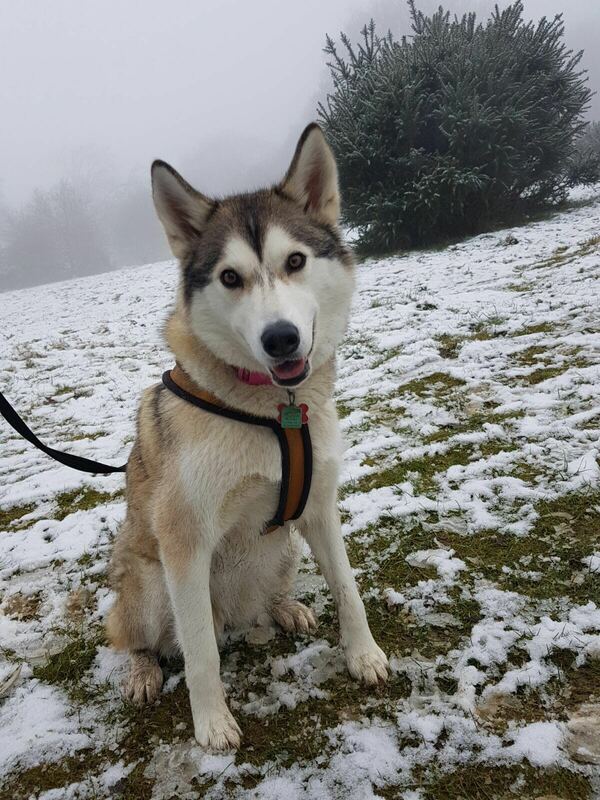 On a warm day like today looking at this photo will cool you down! I caught up with an old friend earlier this week. He declared he was now an Aylesbury homeowner, retired and mortgage free. He stated how unaffordable Aylesbury’s rising property prices were and that he worried how the younger generation of Aylesbury could ever afford to buy? He went on to ask if it was right for landlords to make money on the inability of others to buy property and if, by buying a buy to let property, Aylesbury landlords are denying the younger generation the ability to in fact buy their own home. Whilst doing my research for my many blog posts on the Aylesbury Property Market, I know that a third of 25 to 30 year olds still live at home. It’s no wonder people are kicking out against buy to let landlords; as they are the greedy bad people who are cashing in on a social woe. In fact, most people believe the high increases in Aylesbury’s (and the rest of the UK’s) house prices are the very reason owning a home is outside the grasp of these younger would-be property owners. However, the numbers tell a different story. 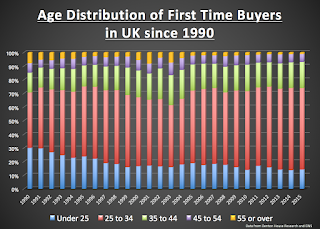 Looking of the age of first time buyers since 1990, the statistics could be seen to pour cold water on the idea that younger people are being priced out of the housing market. 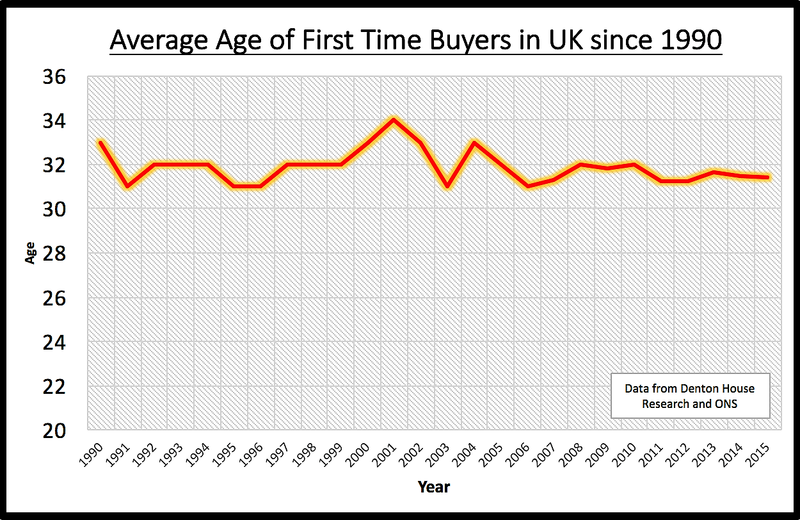 In 1990, when data was first published, the average age of a first time buyer was 33, today it’s 31. Nevertheless, the average age doesn't tell the whole story. 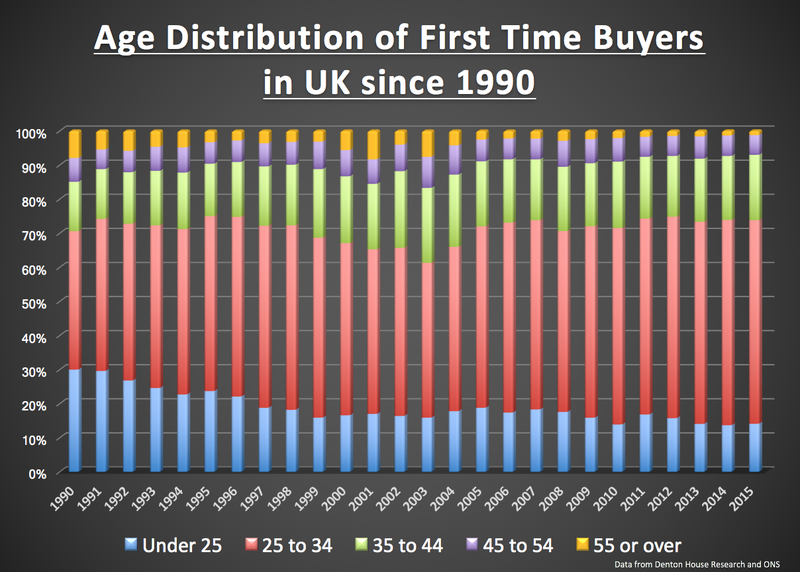 In the early 1990’s, 26.7% of first-time buyers were under 25, while in the last five years just 14.9% were. 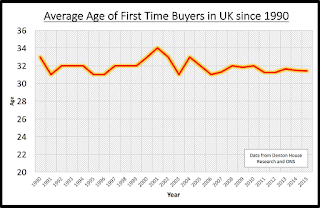 In the early 1990’s, four out of ten first time buyers were 25 to 34 years of age and now its six out of ten first time buyers. Although, there are also indications of how un-affordable housing is, the house price-to-earnings ratio has almost doubled for first-time buyers in the past 30 years. In 1983, the average Aylesbury home cost a first-time buyer (or buyers in the case of joint mortgages) the equivalent of 3.0 times their total annual earnings, whilst today, that has escalated to 6.1 times their income. Again, those figures don’t tell the whole story. Back in 1983, the mortgage payments as percentage of mean take home pay for an Aylesbury first time buyer was 31.2%. In 1989, that had risen to 78.6%. Today, it’s 38.6% … and no that’s not a typo .. 38.6% is the correct figure. So, to answer my friends questions about the younger generation of Aylesbury being able to afford to buy and if it was right for landlords to make money on the inability of others to buy property? It isn’t all to do with affordability as the numbers show. And what of the landlords? Some say the government should sort the housing problem out themselves, but according to my calculations, £18bn a year would need to be spent for the next 20 or so years to meet current demand for households. That would be the equivalent of raising income tax by 4p in the Pound. I don’t think UK tax payers would swallow that. So, if the Government haven’t got the money… who else will house these people? Private Sector Landlords and thankfully they have taken up the slack over the last 15 years. Some say there is a tendency to equate property ownership with national prosperity, but this isn’t necessarily the case. The youngsters of Aylesbury are buying houses, but buying later in life. Also, many Aylesbury youngsters are actively choosing to rent for the long term, as it gives them flexibility – something our 21st Century society craves more than ever. Can you buy to let with a limited budget in Aylesbury? With the changes in mortgage stress testing it is likely that you will need to have a 40% deposit to buy a buy to let property with a mortgage. Now if you want to buy the best property to let out it is likely to be a two bedroom house. That two bedroom house in a respectable location is likely to cost you £250,000 and above meaning that you need a deposit of around £100,000! So if you are struggling to scrape together such a large deposit is it still worth trying to get in to the market? Well if you consider a studio flat at around £120,000 you will need a deposit of less than half the above example, £48,000. What is even better news is that your yield (the return on money invested)will be higher than with the house (around 5.5% gross). The downside is that your capital growth will be less but a studio property would still give you a better return than your average bank or building society. Five years ago these studio apartments were selling for around £80/£90,000 so there has been capital growth of around £35,000...not to be sniffed at. That equates to £7,000 per year or £134 weekly...not bad to supplement your income. So yes you can buy in Aylesbury on a budget. I talk to many landlords and some of them I have been talking to for years. Those that have committed to the market in the past have been pleased with the outcome. Those that have still yet to commit regret not doing so in the years past. It is easy to get caught in this trap...it never feels like quite the right time, the market may fall a bit, I may be over paying if I buy today etc. Here are some of the studio apartments available today including those that are under offer which will help you to identify the right price point. There are 23.36 million properties in England and Wales with 64% being owner occupied and 36% being rented either from a private landlord, local authority or housing association. Over nine out of ten of those English and Welsh owner-occupied properties are a whole house or bungalow. Now, most people would assume they would be freehold - however, of those renting nearly half of rental properties, 44% to be precise, lived in other leasehold apartments and flats. It might be wise to quickly explain the difference between freehold and leasehold. When someone owns the freehold of a property they own it outright, including the land it is built on, whilst with a leasehold property the leaseholder owns the property for the length of their lease agreement. Leaseholders must pay the person who owns land (the freeholder) ground rent and other fees. When the leasehold ends, ownership returns to the freeholder although the leaseholder can extend the lease or they can buy the freeholder out, but there are rules and regulations with regards doing that. Therefore, it would be safe to assume that houses are freehold and flats are leasehold … wouldn’t it? Not necessarily! Most houses are freehold but some might be leasehold - usually through shared-ownership schemes – but more and more new homes builders are selling houses on a leasehold as well. The protection of the law afforded to leaseholders who own a flat is massive, but sadly lacking to leasehold houses sold privately. Looking specifically at the figures for Aylesbury, at the last count in HP20 there were 6,644 properties. Since 1995, 7,023 properties in HP20 have changed hands and have been sold. Looking further at those 7,023 transactions in HP20 since 1995, using data from Land Registry and solicitors practice My-Home-Move, 19.65% have been leasehold (higher than the national average of 15%). However, there are concerns about a few new homes builders selling new houses (not flats - houses) as leasehold. There has been a growing (yet small) trend for new-build houses to be sold as leasehold in recent years. While not all house builders use this model, those that do maintain it helps make developments financially viable. The issue comes when builders sell the freehold separately to an investment company without informing the lease holder – which they are legally allowed to do without telling the leaseholder. In England and Wales, the "right of first refusal" to buy the freehold is written in law to leaseholders of flats i.e. the freeholder must offer it to the leaseholders of all the flats of the building first), but not leaseholders of houses. .. and this is the point I am trying to get across. If you are buying a new home and it’s a house (i.e. not a flat) – please check very carefully indeed whether its freehold or leasehold. If it is a leasehold, whilst you do have rights, they are not as strong as for those people buying a leasehold flat. I appreciate I am only talking about a very small percentage of the property market, but potentially this could end up costing thousands of pounds to those affected. 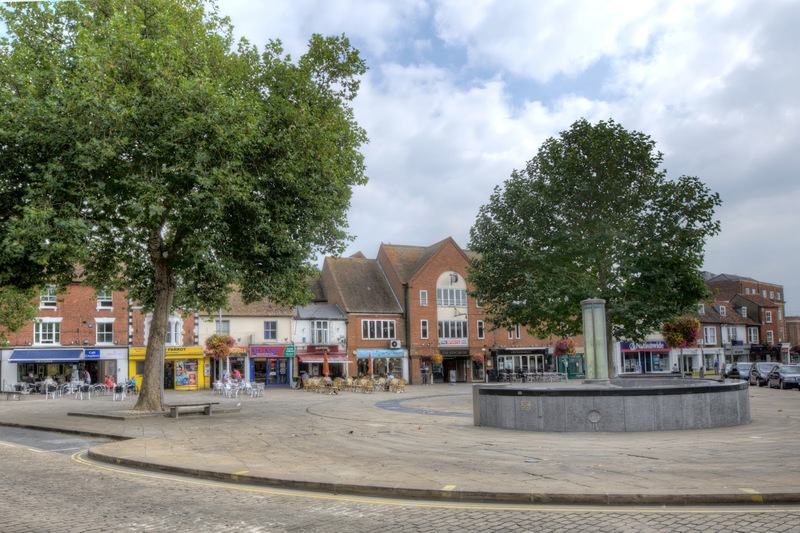 Should you buy a nice new apartment to let in Aylesbury town centre? It is a simple question with a simple answer...no! Regular readers will know that I have always been a fan of buying two bedroom freehold houses over apartments. But now more than at any time previously the reasons stand out. There is a strong supply of apartments which suppresses values. Take a walk around Aylesbury town centre. Everywhere you go office buildings are being converted, some well some not so much! Few of them have adequate parking. Most of them are available via a glitzy marketing campaign trying to support the inflated prices. You see little activity on these developments a clear sign that sales are not flowing as the agent/developer would like. Some have been available for some time, some have been reduced or had incentives added to enhance the marketing but all appear to be struggling for buyers. At the time of writing Rightmove shows 126 apartments available (96 sstc)and 101 two bedroom houses available (116 sstc). The prices for apartments range up to a staggering £310,000 with many around £250,000. For properties that have limited capital growth potential these prices are speculative at best. The pricing of these apartments has been led by the strong market but the strong market has been driven by houses not apartments. There has been a lack of supply of two and three bedroom houses, the prices of apartments have risen to fill this gap. But there is a strong supply of apartments and as the market hardens the value of apartments will fall back harder due to this strong supply. Good solid two bedroom houses can be purchased at these levels and they benefit from a much greater potential for capital growth. 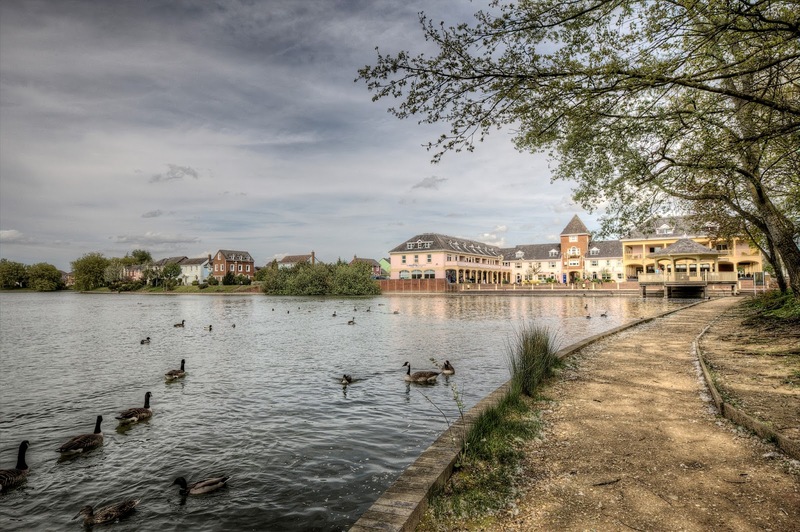 The average yield for property in Aylesbury is 4% to 6%. An apartment at £310,000 would need to achieve a rent just over £1,000 to give a 4% yield. But this does not take in to account the management fees. Typically when a development is first occupied fees are high to enable funds to accrue in a 'sinking fund' so expect to pay at least £100 monthly. This would bring the yield for the above example to 3.6% or you would need to achieve a rent of at least £1100 monthly to maintain the yield. (The same rent as a three bedroom house). While these apartments are new and shiny they can look appealing. But in say 5 years time they will not be new and if you want to sell you will face stiffer competition than you would if you were selling a house. Renters are more prone to accept a lack of parking, buyers less so. Renters like a town centre location, it can keep their living costs down. For a buyer this is less important, they want a 'nice' location to live in and sadly Aylesbury town centre does not offer that. An apartment obviously has more neighbours than a house, more potential for disputes, water leaks from above, noise complaints, parking disputes. There will likely be a management company in place...they may be great they may not...more hassle. You will have little control over the fees applied each year or the work that is carried out or the standard to which those works are done. So in summary new Aylesbury town centre apartments are not great investments! If you want to talk through your investment goals and discuss where and what to buy please get in touch.